I wanted to give a sweet treat to Eddie for his homecoming. 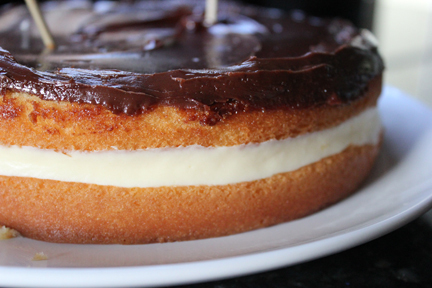 I know that he loves the Boston Cream Cake from our local Pavilions - so that was a no brainier. 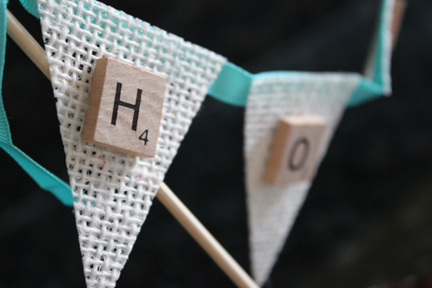 To jazz up the cake, I made this quick and easy bunting with burlap fabric, Mod Podge and Scrabble tiles. 1. Place a small strip of burlap on a HGGH craft mat and coat with Mod Podge. 2. Flip over and coat the back with Mod Podge. Allow to dry. 3. Trim a straight edge across the top. 4. 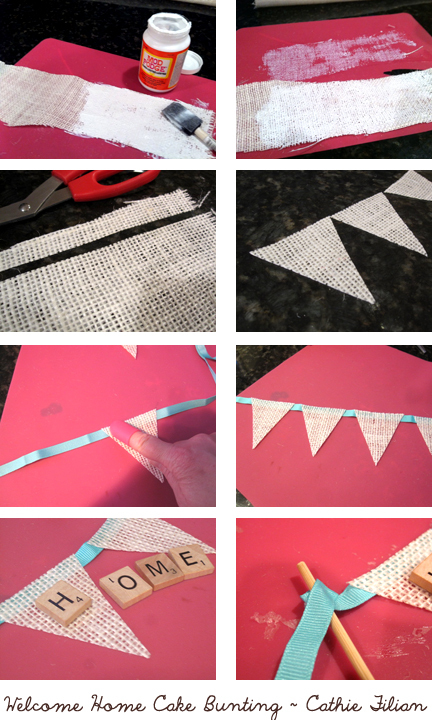 Cut into triangle/pennant shapes. 5. Hot glue across a strip of ribbon. 6. Leaving a little space in between each pennant, keep gluing them across. 7. Glue Scrabble tiles in the top center of the pennants. 8. Glue the ends of the ribbon to skewers. 9. Position into the cake. This is a really cute idea and can be used for all different occasions! Fun idea, love the colors!!! Visiting from TT&J and wanted to say hi! We love Scrabble. 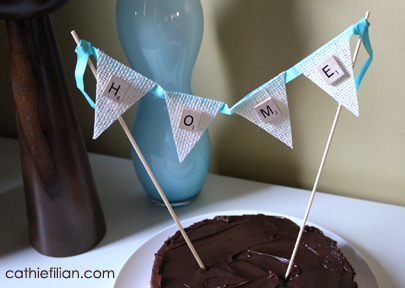 This is such a cute idea for entertaining. How cute! Visiting from TT & J! I love easy projects that come out sooooo cute. Visiting from TT & J. Thanks honey...you really made me feel like I was missed! So happy to be back home! 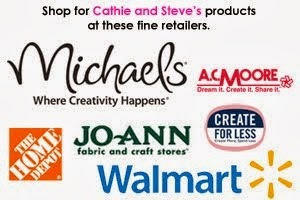 This is SO awesome!!! I think I will do this for my sister's birthday!!! She will love it!! So cute Cathie! I love the little flaggies!